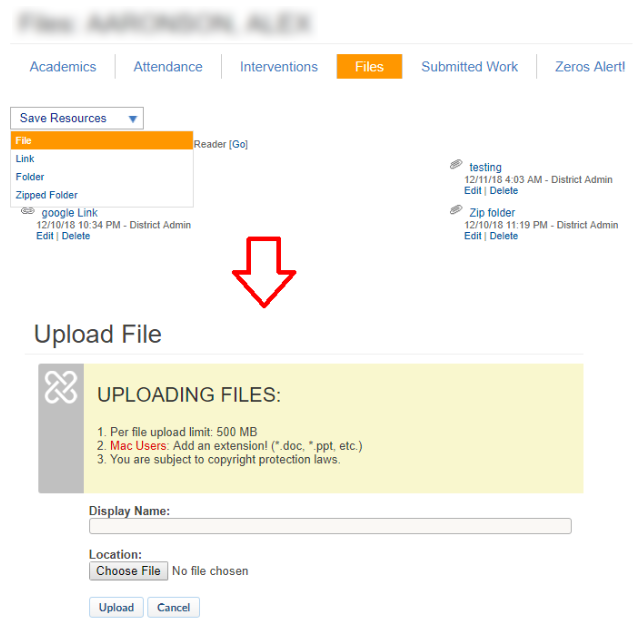 All staffs may upload files pertaining to the student. Such files might include IEPs or 504 plans. 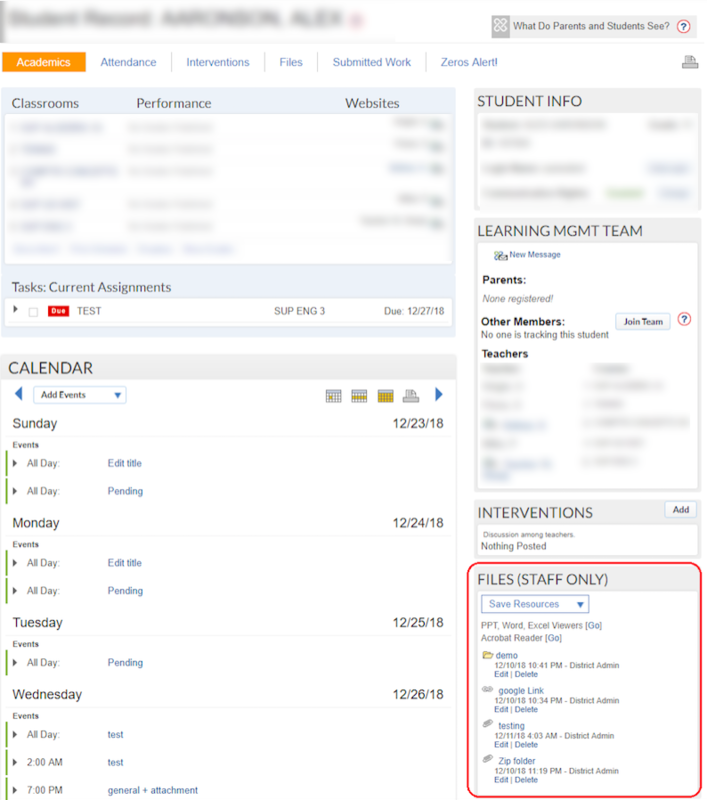 These files are not viewable by students, parents, or associates. 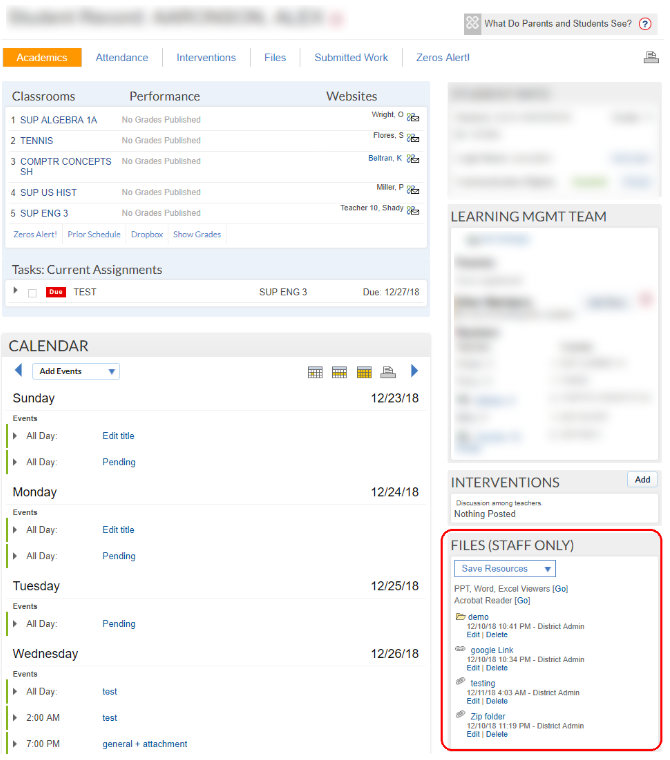 The files are also displayed on the main page of the student record on the right column.